As a Senior Analyst based in Shanghai, Jason leads Canalys’ worldwide research in the wearables and VR/AR technology sectors. Focusing on both quantitative and qualitative analysis for the sectors, Jason works closely with clients to inform and advise on the market dynamics, covering products, channels and competitive strategies. He also supports wider mobility market research on smartphones and PCs, focusing on the North Asia Pacific and China regions. Jason conducts and actively contributes to various consulting projects. He is frequently quoted by the top-tier media. Prior to joining Canalys in September 2014, Jason worked as a technical support engineer for Sykes, handling multiple accounts, including Samsung Mobile Application & Services and HP Consumer Desktop, for Singapore, Malaysia and other countries. 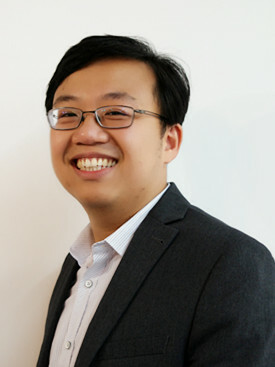 Before relocating to Shanghai, Jason worked as an Accounts Specialist for IBM Global Financing Malaysia, supporting the South Korean market. He graduated as a Mechanical Engineer from Hanyang University in Seoul. He is fluent in English, Mandarin, Malay and Korean.